THREE pupils of a South Gloucestershire dance school have been picked to perform in a company of the nation’s most talented youngsters. 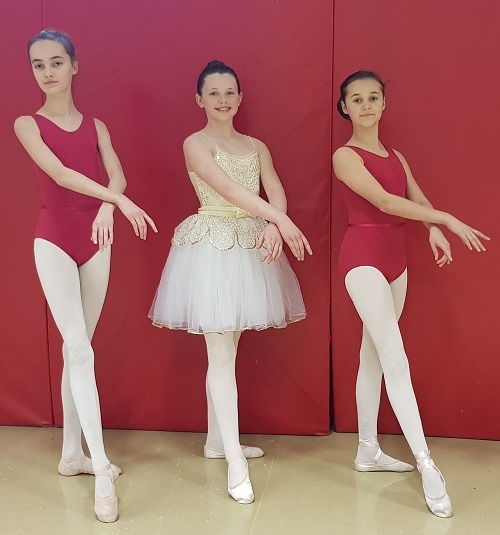 The girls, who train with Sharon Phillips’ School of Dancing in Alveston, have been selected to take part in the English Youth Ballet’s summer production of Swan Lake at Cardiff’s New Theatre. Laura Evans, 13, and her sister, Sophie, 11, from Olveston, and Katy Partridge, 10, from Bradley Stoke, had to audition to win a place among 100 children who will dance alongside professionals. The company stages full-length classical ballets in regional theatres, offering opportunities to young dancers outside London. They rehearse for six hours a day for two weeks in the summer before staging the production. Sharon Phillips teaches the girls ballet, tap and contemporary dance at her dance school, which holds lessons in Alveston and Patchway. English Youth Ballet lets parents watch the auditions, which Melinda Evans, mum to Laura and Sophie, and Katy’s mum Hannah, described as nerve-wracking. But having already had experience of performances with the dance school, the girls were confident under pressure. Hannah said Katy’s love of dancing overrode any last minute nerves. She said: “Katy has been dancing with Sharon since she was two and a half years old. She’s sporty but dancing is absolutely her passion, and she wants to be a dancer when she grows up. English Youth Ballet wants young dancers to get a taste of what it’s like being part of a professional ballet company – from the audition, to learning the choreography, to performing.